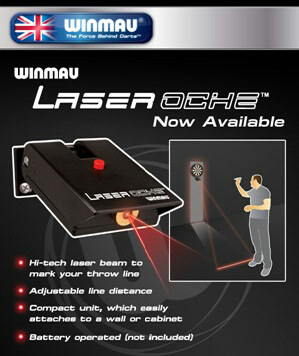 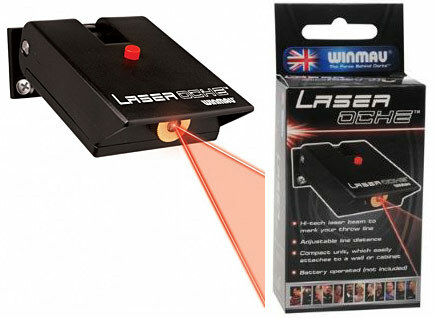 Winmau's Laser Oche sees a high tech answer to the darts mat, or putting an oche sticker on the floor. 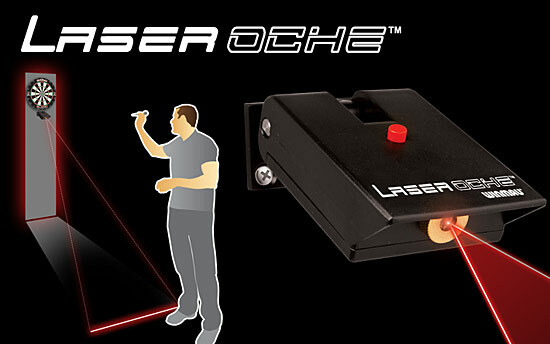 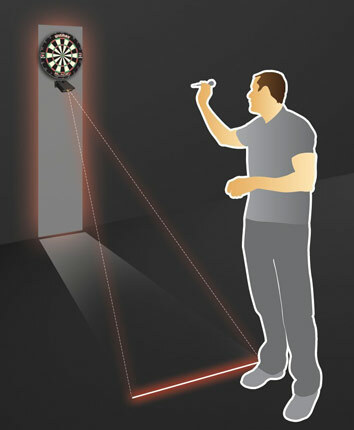 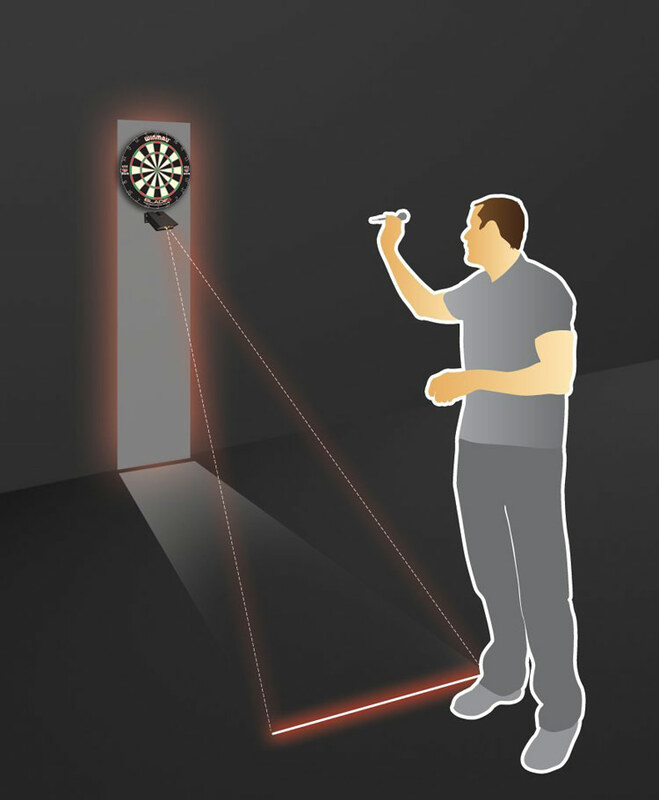 The Laser Oche's sleek design is a true 21st Century darts product and will take your dart set up to the next level. 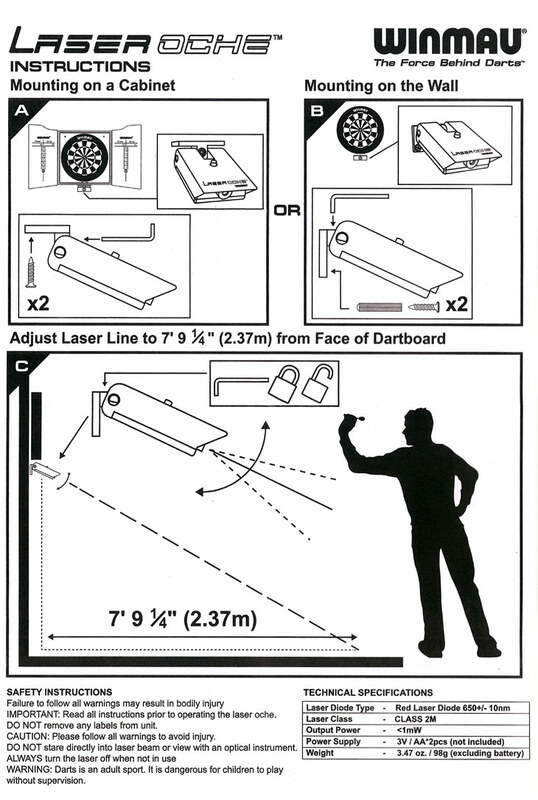 Main Base is 3.25" x 2.25"